If you cannot find an answer you’re looking for, please contact us. Current customers who need assistance with orders, subscriptions, payments, or products, please contact us. What is Storytime Yoga for Kids? Storytime Yoga® is a pioneering and innovative children’s body-centered educational program created by Sydney Solis that brings health, literacy, and peace to kids ages 3 and up. It integrates the healing qualities of yoga with the mind and heart-enhancing powers of storytelling. It capitalizes on children’s natural inclination to move about freely, explore their innate creativity and act on their curiosity to learn more about the world. What Happens in a Storytime Yoga® for Kids Class? In a typical Storytime Yoga® for Kids class, children gather in a relaxed atmosphere, such as at home, school, yoga studio, library, retreat center, therapy session, or kids’ camp. They participate in an interactive mind/body storytelling session, in which their qualified Storytime Yoga® for Kids teacher tells them fascinating wisdom tales from around the world. 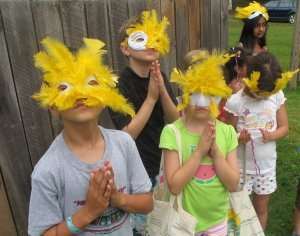 The teacher uses props, oral storytelling skills and various yoga, breathing and relaxation techniques to ensure that each child is enraptured and engaged with the session. After a story is orally told (not read from a book) by the teacher, everyone “acts out” the plot of the story in real-time through a variety of specially chosen yoga poses, stretches, deep breathing, and other relaxing or invigorating movements. The yoga teacher or parent facilitates the session, leading the class along, while ensuring each child is focused, attentive, and fully participating. Children increase their literacy skills and comprehension by retelling the story, dictating or writing words, and expressing ideas. Within 15, 30 or 60 minutes of a session, children find themselves more calm, more attentive and more in tune with their bodies and surroundings. They learn new vocabulary, get a sample of different cultures, learn words from different languages, spark their creativity and imagination, and spend time interacting with others in a safe community environment. The result is healthier minds and bodies, and more joyful and peaceful children. Kids learn literacy in Storytime Yoga® for Kids in this class in Chile with Giusepe Vital. 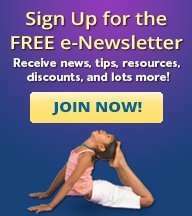 What are the Benefits of Storytime Yoga for Kids? Research has shown that yoga brings health-enhancing benefits such as greater muscular strength, flexibility, spine health, and joint health. These benefits trickle into the mental arena by increasing attention, concentration, inner peace, relaxation, and a sense of overall calm and focus. Children who practice yoga tend to relax more and are better able to concentrate at school. When yoga is combined with storytelling, children experience an overall healing effect in each area of their lives. Meanwhile, they refine their listening skills and utilize their imagination as they contemplate possible meanings behind each story. Yoga is well-known for its ability to engage the mind and body simultaneously. This is perfect for children, who are often easily distracted by external stimuli. Yoga has stress-reducing effects, and it helps increase one’s focus on the present moment. Parents from all over the world are sure to enjoy having children who are more balanced, relaxed, and in tune with themselves. Teachers will also appreciate these same benefits. 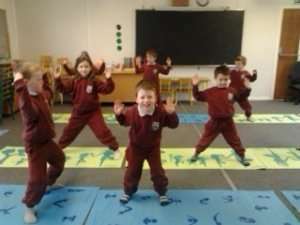 Certified Storytime Yoga Teacher Denise Sheridan of Ogonnelloe Co Clare, Ireland teaches a Storytime Yoga for Kids class. What is Different about Storytime Yoga® for Kids compared to Other Kids Yoga programs? Storytime Yoga® for Kids , on the other hand, uses oral storytelling to deliver material organically and cyclically. It appeals to the intuitive and sensing sides of our psyches to provide balance, emphasizing teacher/student connection, and engaging the child in a spontaneous fashion. Neither the student nor the instructor is restricted to a predetermined outline or order of activities. The material is not set in stone. When students respond with random comments (which they assuredly will), or if surprises occur during the session (which they most often do), the instructor maintains flexibility to work with these occurrences so that they seamlessly become integrated with the class. The teacher has a “readiness bag” to pull out material, stories, or exercises suited to the student or class circumstances. Storytime Yoga® for Kids emphasizes mind/body connection and sets the framework for each class to serve as a ritual. The content of the class is interdisciplinary. Children learn geography, peace, character education, Spanish, yoga, healthy eating, relaxation, meditation, storytelling and oral skills, as well as other literacy skills. The content is not limited to one subject area. Rather, the class moves cross-curriculum, keeping interest high as children become engaged from within. 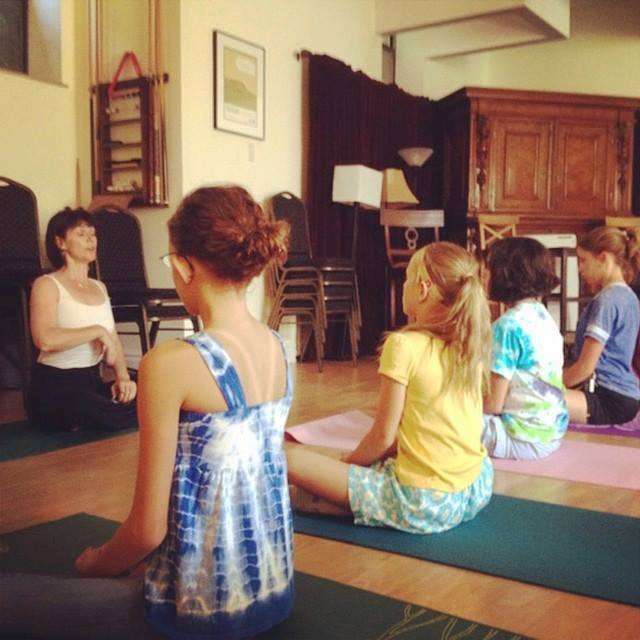 The teaching philosophies behind Storytime Yoga® for Kids are influenced by Montessori and Waldorf education methods.Teens and adults can also benefit from Storytime Yoga® for Kids , since stories are universal in nature and can be adapted to serve more complex purposes. Stories can help people find their true identities, discover meaning in the mundane, and awaken hidden sources of creativity and inspiration. Not to mention, yoga benefits everyone from the itty bitty toddler to the elderly of our population. Mythic Yoga, a component of Storytime Yoga® for Kids , serves middle school children, teens and adults. This unique program facilitates a powerful transformation in people’s lives, prompting them to self-realization. It’s a magical journey and a process of self-discovery, where students can fully engage in exploring different areas of their mind, body, and consciousness. Mythic Yoga is based on the principle that myths truly constitute the “universal language,” which enables us to speak to our inner selves and each other in the most powerful ways possible.